In 2007, my wife and I were ready to make a change. 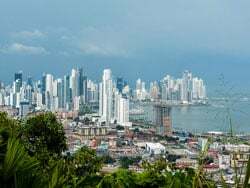 We were looking for a more affordable, healthier way of life and there was one country that ticked all the boxes: Panama. Before we moved, we did a lot of research on Latin American countries that we could consider retiring to. Panama’s benefits really stood out. The country is stable, with a literacy rate higher than the U.S., health care is inexpensive, and the country’s diet is healthier. Additionally, the currency here is the American dollar and the culture is friendly and welcoming. While we were researching online, we found our home—a 3,000-square-foot house that cost us $55 a square foot (prices have gone up a bit since then). We came down to inspect it and just loved the location. Coming from Pasadena, California, we knew we didn’t want to live in a big city. That ruled Panama City out for us. 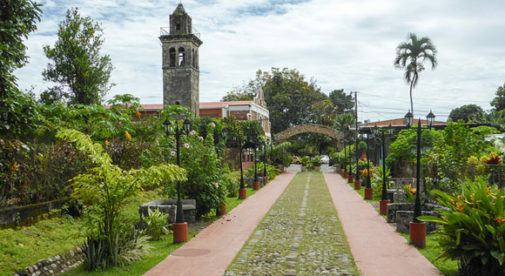 David, the third largest city in Panama, located in the heartland of the country’s “bread basket,” was a better fit. If we want a change or need something specific, we head into David. We go to the local markets, or to one of the inexpensive stores or restaurants we’ve found. There’s a big fair coming up in March that we can’t wait for. At it, vendors from all over Latin America will be selling handmade furniture. Farmers will come from all over the world to show off their prize animals and to sell their wares. We found the cost of living more reasonable for our pensions than the U.S. and we can afford to do things we wouldn’t have been able to do at home. That’s thanks in a big way to one of the best things about living here—the pensionado retiree visa. When you qualify for the pensionado visa, you get discounts on a range of basics and luxuries, including hotels, bus fares, medicines, restaurants, and local air fares to mention but a few. We’ve used it since day one of our move here to save money on restaurants, shopping, doctor fees, insurances, local airfare, for the bus trip from Panama City to David, and for movies. It’s the best deal Panama has. Cool, it’s just: To qualify for the pensionado, you just need to establish that you have a retirement income of $1,000 to $1,200 a month or else own an investment property worth $100,000. Panama offers expats a more affordable and healthier lifestyle. Health care is also a great deal here. Panama still provides socialized health care for all its citizens and affordable access to private doctors. A few weeks ago we found a doctor who charged only $5 for an office visit. My wife visited and received a great checkup and scheduled blood work. And you don’t need to be fluent in Spanish to get along in Panama. In the major cities like David and Panama City, plenty of Panamanians speak sufficient English. Even those who don’t are friendly and will try to assist you. Still, I recommend learning the language. It exposes you to the culture and its people, especially people like those in the farmlands who tend not to speak English. For example, Pedro, our gardener (whose services cost us just $30 a month) doesn’t speak any English. We’ve learned enough Spanish to welcome him every day, talk about what we need, and share pleasantries. And, with all the money we’ve saved by moving to Panama, we can afford to take trips. We love visiting other expats who live in Panama—some in the mountains or in the city or along the beach. We travel internationally, too, and have just returned from South Korea where we were visiting family. Previously, we traveled from Tocumen International Airport in Panama, City, but this year the city of David plans on opening its airport to more international flights. When it does, there will be flights available directly between the United States. We will always be U.S. citizens but we love Panama and we enjoy traveling. We have the best of all worlds in Panama. Learn more about Panama and other countries in our daily postcard e-letter. Simply enter your email address below and we’ll send you a FREE REPORT — Panama: First World Convenience at Third World Prices. This special guide covers insider advice on real estate, retirement and more in Panama. It’s yours free when you sign up for our IL postcards below.